Are you looking for more leads for your electrical company? 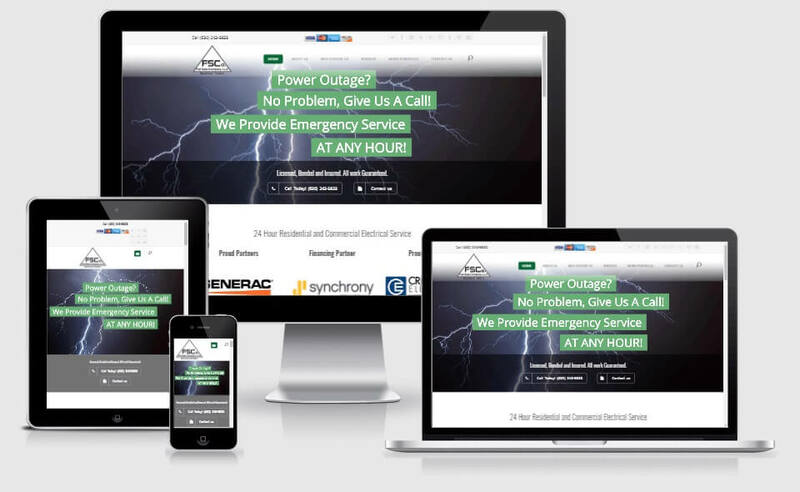 Do you have an electrical contractor service website? Well, a website is created to bring in more customers. We live in a digital era where people search for services and products online before buying. The same applies to electrical contractors. Consumers will use search engines to look for electrical contractors around them and this is where you should be. This is where electrical contractors SEO comes in. Chicago Website Design SEO is a professional SEO and web marketing company dedicated to providing solid results. We work with skilled and experienced experts to ensure that your website is working for your business. Why Do I Need Electrical Contractors SEO? The main reason why you require professional SEO for electrical companies is visibility. Having a business website is a brilliant idea. However, if the website is not visible to the people you are targeting, it is useless. Actually, it is better to not have a website than having one that is not functional. This is because you will be spending money on the maintenance and getting nothing in return. From where we stand, there is nothing as important as local SEO for electrical companies. In most cases, your target customers are in your town, city or state. This means your focus should be in this area. Optimizing keywords without local SEO will put you against international companies. This is not a war you will win. Localized search engine optimization is more targeted. You will be connecting with people who can actually buy your Electrical services. Our SEO experts will work towards ensuring that your website is optimized for local searches. This will give you qualified traffic. There is nothing as important as Content when it comes to SEO strategies. Content is the reason why your website will attract visitors and keep them there long enough to communicate your message. In most case, the content is what convinces a visitor to buy your services. At the end of every page, we will include a call to action that will play a major part in the conversion. We also provide marketing services aimed at creating communication between your business and your customers. This communication is what lets your target audience know what you do. You also let them how you can help them with their problem. Our website is highly ranked for all the keywords that we optimize for. We lead by example. We would not want to promise you great results without first achieving that for our website. Our experience and success rate is evident in the many positive Yelp reviews from customers we have worked with. Let us take your electrical contractor website to the top of search engine result pages. This is the only way you will be visible to your target customers. You will also enjoy increased traffic, higher conversion, increased sales, and higher profits. Call us today for professional electrical services SEO and marketing.